These are a couple of sketches I picked up from eBay. The seller sold about a dozen of these, a couple or three each week. Most of them went for between $10 and $25. 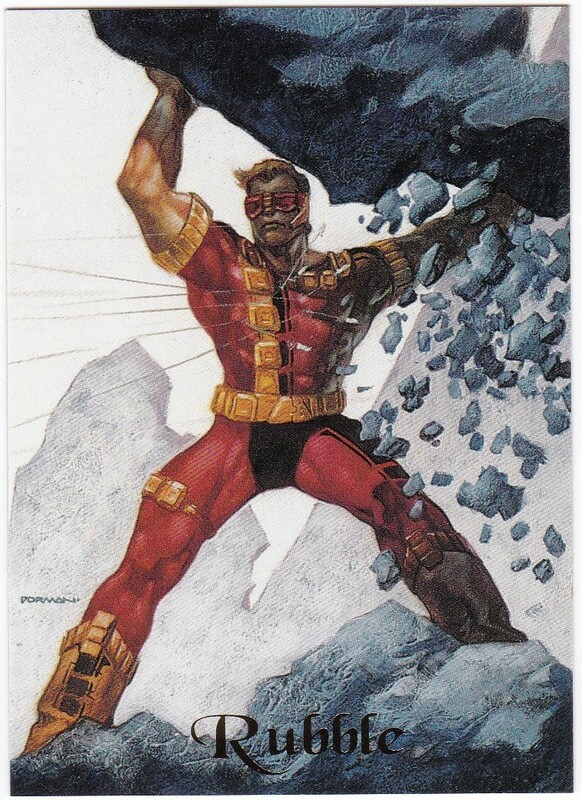 The story behind them is that an artist named Scott Hampton did them as preliminary sketches for the Ultraverse Masterpieces card set. 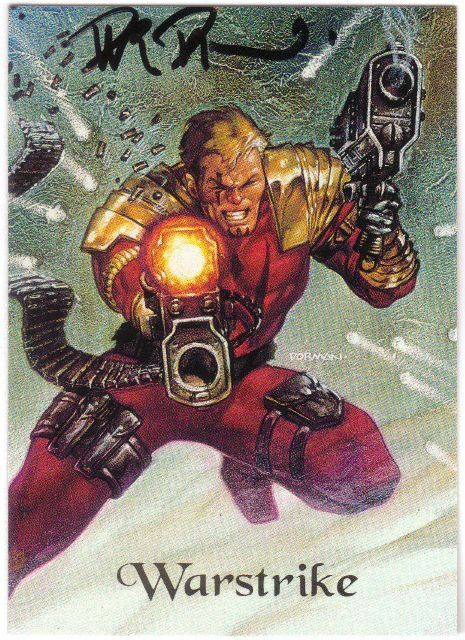 Then Dave Dorman used them as guides for his paintings (every card in the series, including the chase cards, was painted by Dorman). I asked the artist about it and he said that was how it worked. The seller said he bought them from an artist who had kept them in a drawer for years and didn’t think about them until recently. Anyway, they look cool. 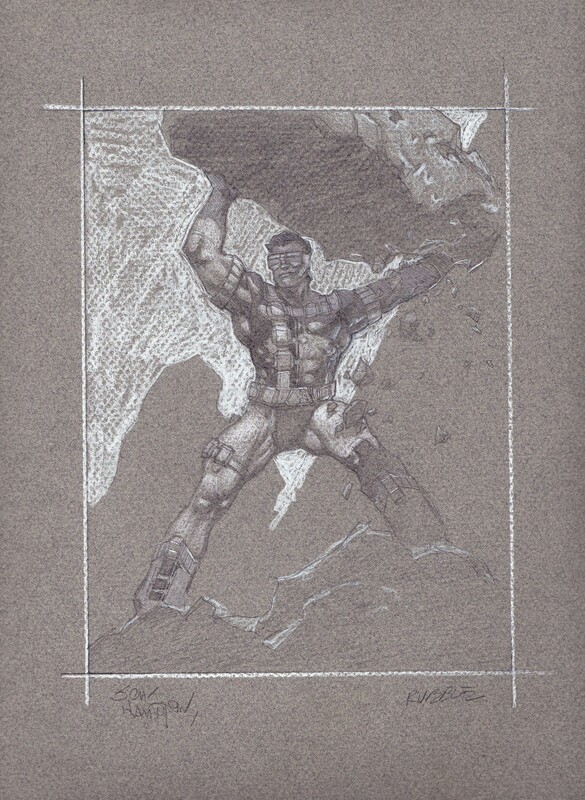 I don’t really know how to describe the art style, it’s grey paper with black and white pastel sketches. Each is a little bigger than a sheet of office paper. 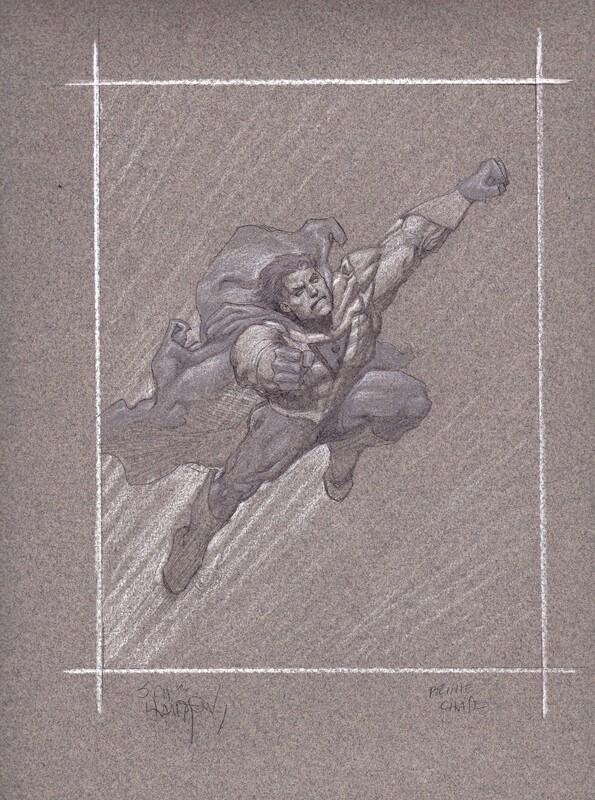 And as you can see, Dorman was extremely faithful to the original sketches when he painted. That was a great series of cards. 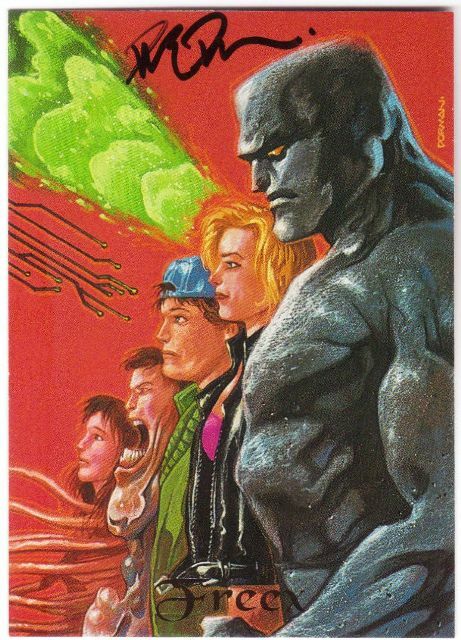 I don’t know how these were distributed, but I spotted this factory set of Ultraverse Series 1 cards on eBay for $5, so I figured that was a good pickup. The next week somebody sold 16 more in one auction, so that makes 17 boxes that I know of. I’m sure there are plenty more … somewhere. I’ll keep this one sealed since it doesn’t have any cards (including the chase cards) that weren’t distributed in the regular boxes, and there are millions of those. 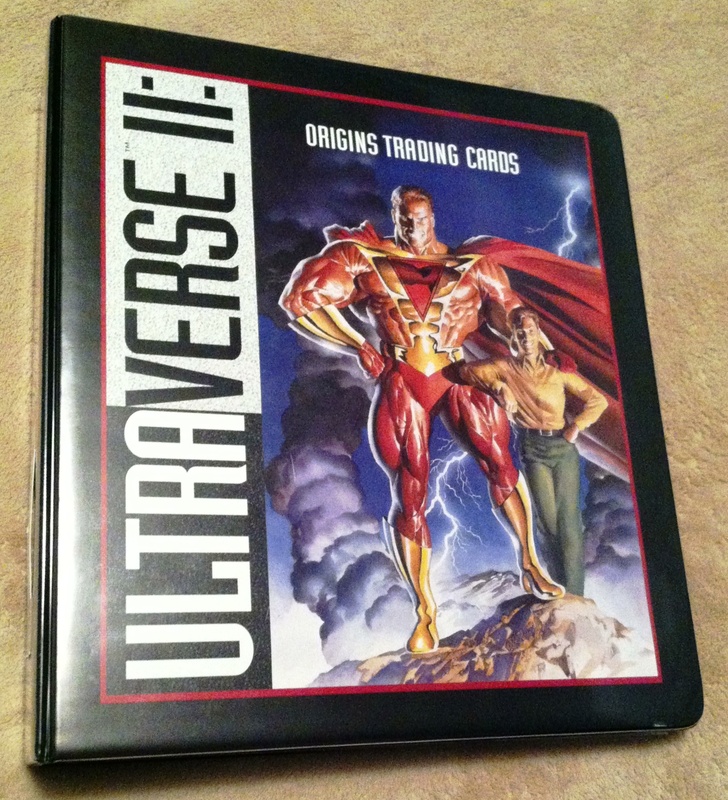 I know there was a factory set of cards packed in with the Series 2 binder, but I don’t know if there was one for the Ultraverse Masterpieces set. I’ll keep an eye out. I won this in an auction for about $20 shipped. I still don’t know exactly what it is. 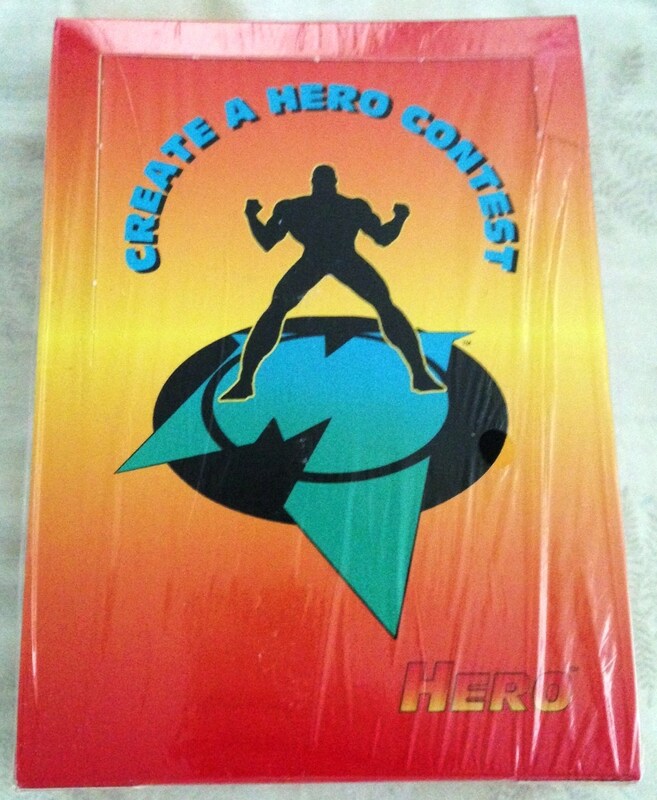 According to some folks over at the Ultraverse Facebook page, it’s a box of entry forms for an abandoned “Create a Hero” contest that was done with Hero Illustrated magazine. It’s still sealed and I don’t feel like busting it open. 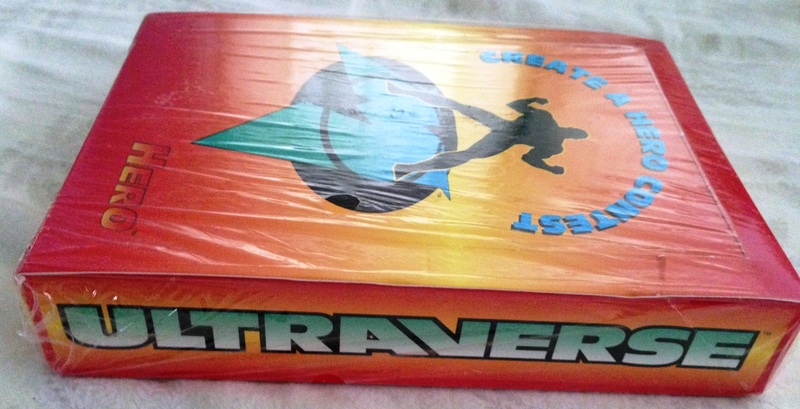 It has the same heft and feel of an unopened box of cards, and is about the same size. 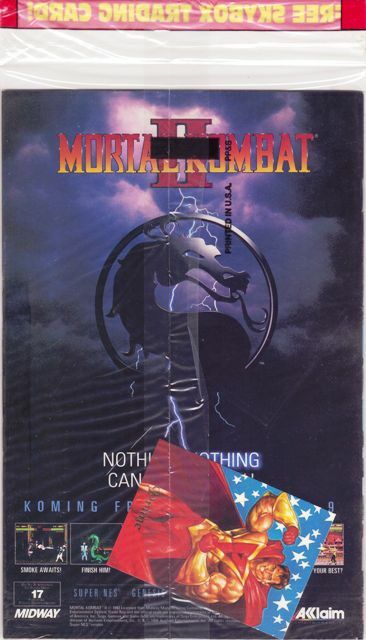 There are some small traces on the internet that this contest actually existed and a few people won prizes, but I don’t think the characters actually saw print. 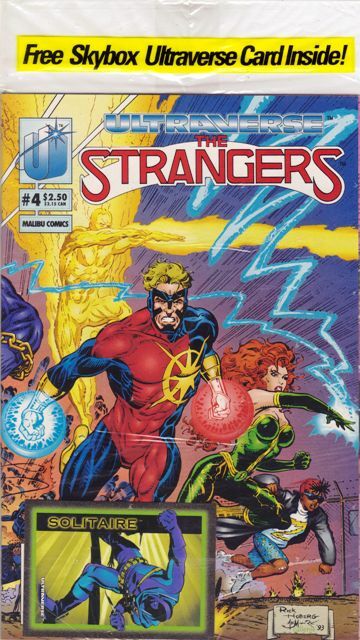 So here I am with just another little Ultraverse artifact. This was another one of those weird eBay auctions. 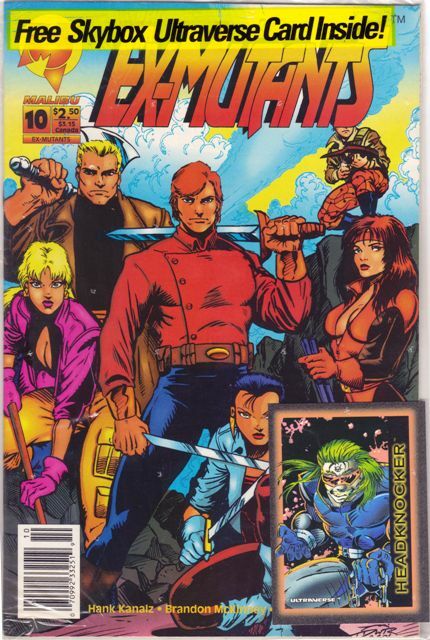 Somebody was selling about 60 different cards from the Ultraverse Masterpieces set, and they were all signed by the artist (Dave Dorman). They were broken into groups of 10, selling for a few bucks each. I put in bids on a couple, and that’s how I ended up with these. Some dude probably brought the guy a huge stack of cards to sign at a convention. I’ve never met him but he must be pretty nice to sit there and sign them all. I get stuff signed every now and then at conventions but I couldn’t imagine bringing more than a few items. Anyway, too bad he had to put in that kind of effort just for these cards to wind up on an auction site (nothing wrong with the seller doing that, it’s certainly his right). One more book knocked off my checklist. This was actually a pleasant surprise. 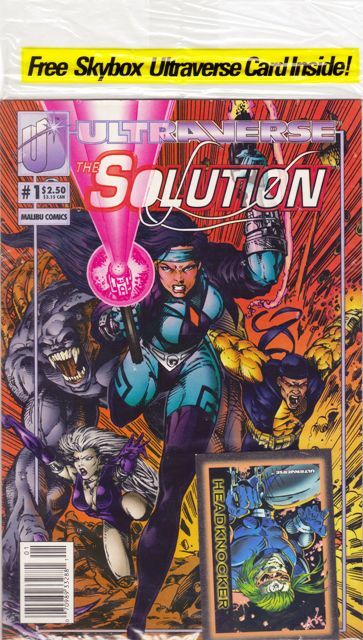 I’ve been gathering up all my Ultraverse stuff and found this book mixed in with the rest. Didn’t even know I had it. Now I am down to just a few left to finish off my checklist, and nothing too crazy apart from that “Ultraverse Secrets” book that is so hard to find. 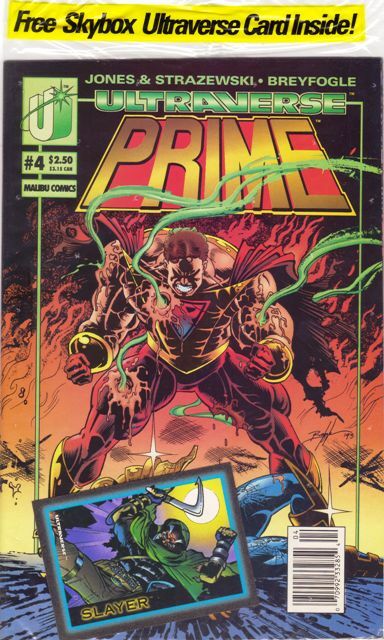 There are two version of Prime 4, though … the other cover has Prototype. I’ve never seen one in the polybag but have been told they exist. So maybe that one will be pretty tough, too. 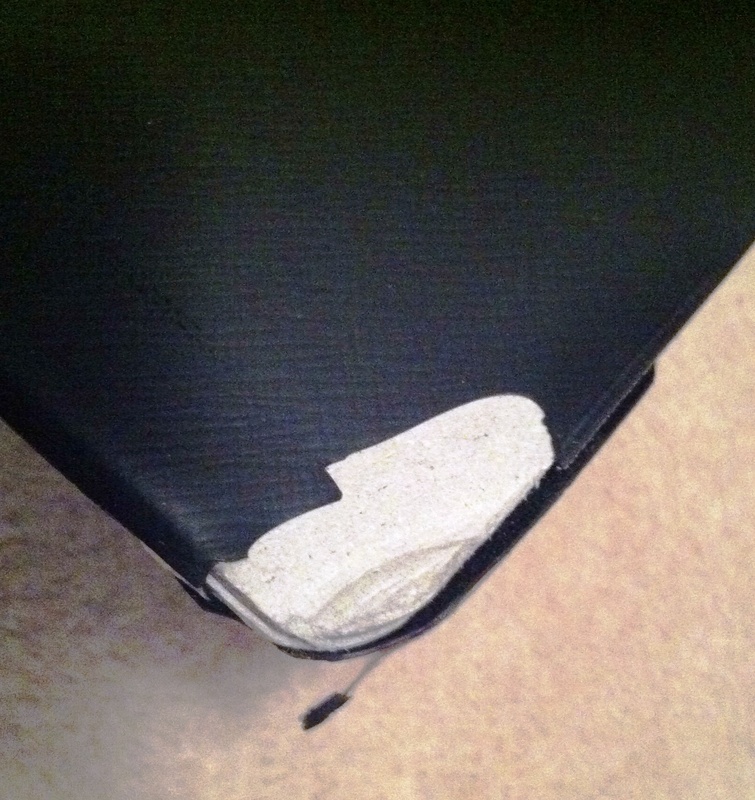 Or maybe I have one stuck in a box somewhere … gotta get more organized! A few weeks back I found a shop in Tampa that had a ton of comics for 10 cents each. 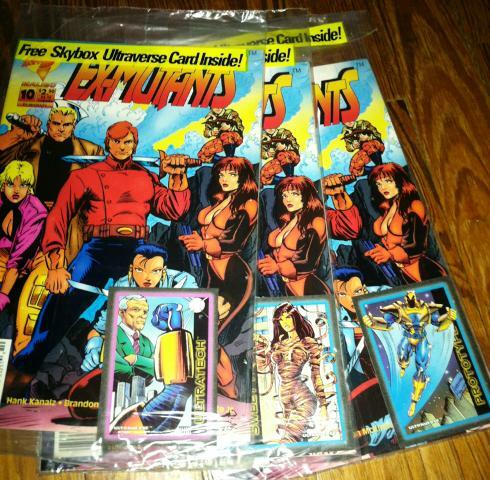 I found these in those boxes, although the only Ultraverse connection is the card inserted randomly; I’m pretty sure these are all just common cards from the first set of Ultraverse cards. 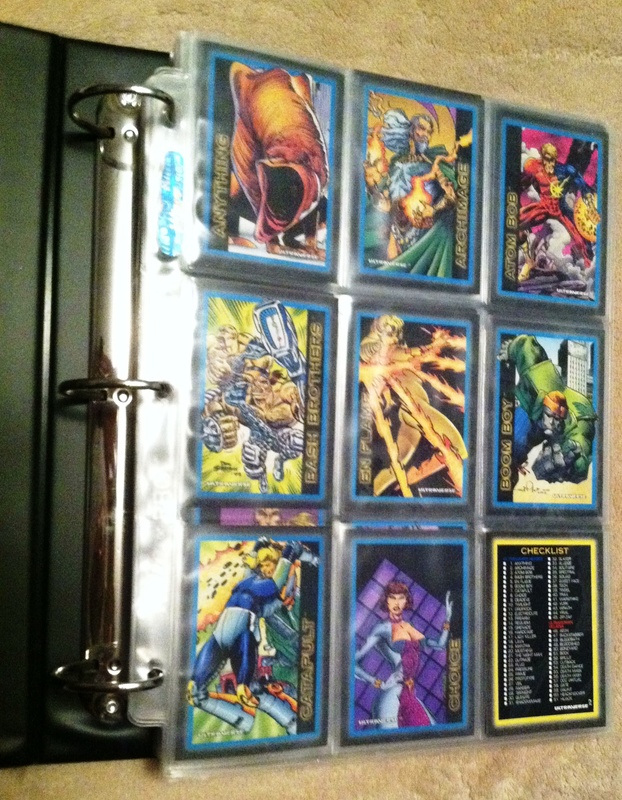 It gave me the silly idea that maybe I could put together a run of all 90 cards, still in the polybags with a comic. 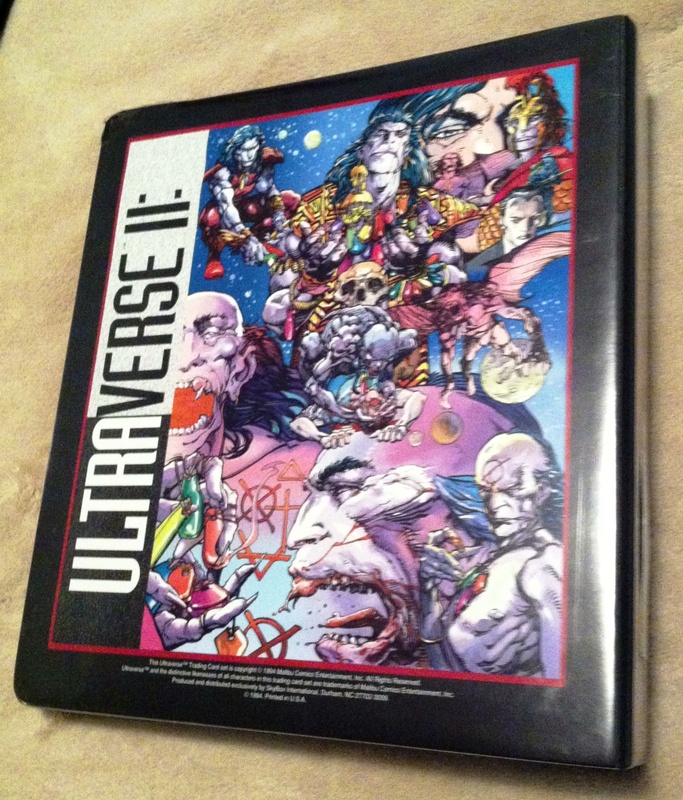 But when it comes to collecting Ultraverse I have first-priority books and second-priority books. This would be down around sixth priority. Still, for 10 cents I couldn’t pass them up. In case anyone else wanted to check out the shop (Wonder Water Sports Cards, Comics and Games), here is their Twitter feed and Facebook page. I left a lot of books there. 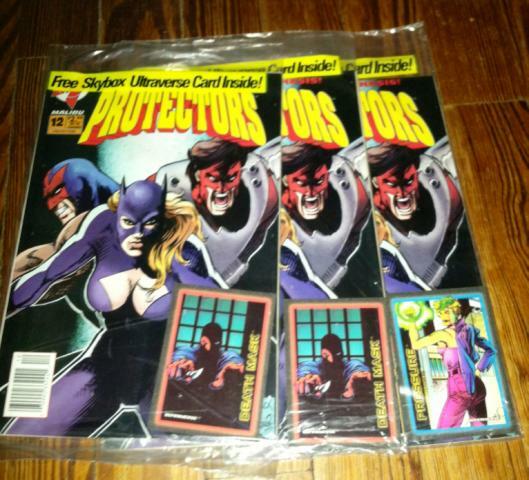 A handful of Ultraverse issues came with polybagged variants that had different prices from the regular versions … 50 cents more. They also have UPC symbols on the front. You can tell these from the initial run of polybagged books by the color banner on top of the bag. 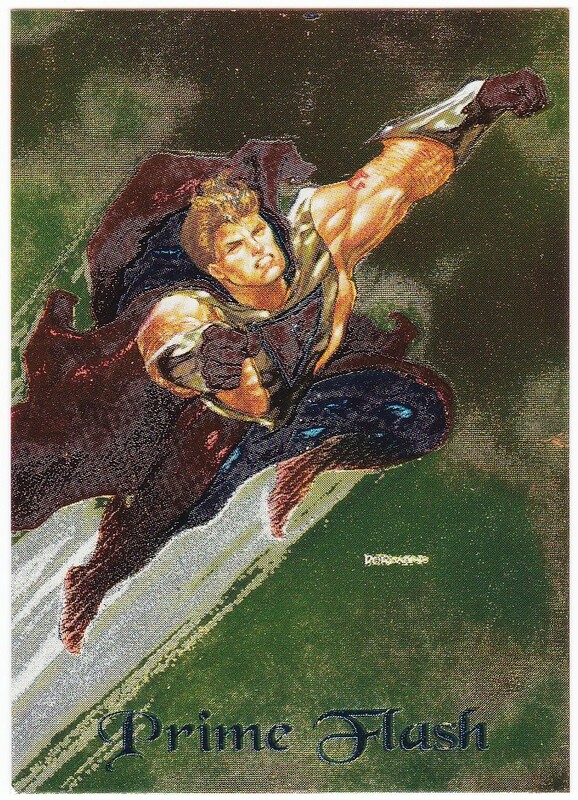 The cards seem to have been selected randomly from the inaugural set of Ultraverse cards, so I guess there could be as many as 90 different variations for each. 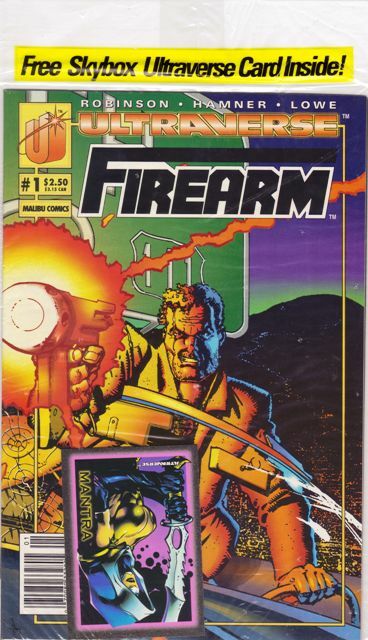 If anybody collects all 90 of an issue let me know and I will send over a truck from the loony bin to take you away. 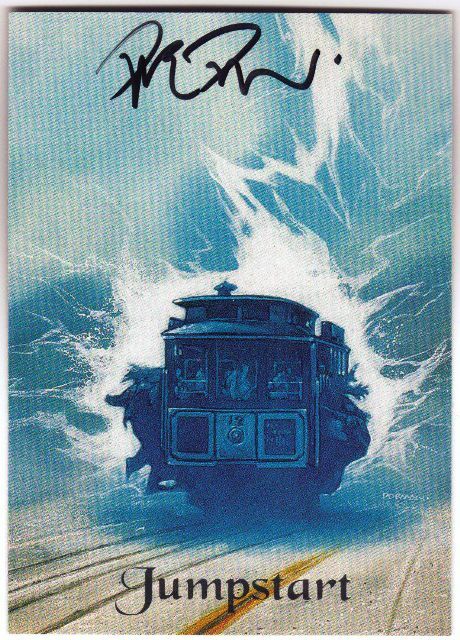 I never noticed this before but the covers to Hardcase 4 and Strangers 4 make up a single image when placed side by side. Cool. 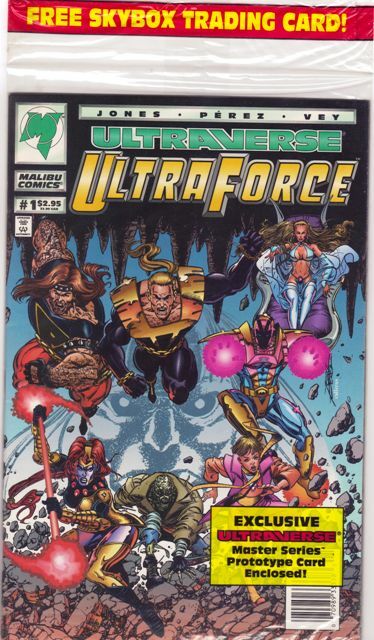 Ultraforce 1 is slightly different with a red banner. 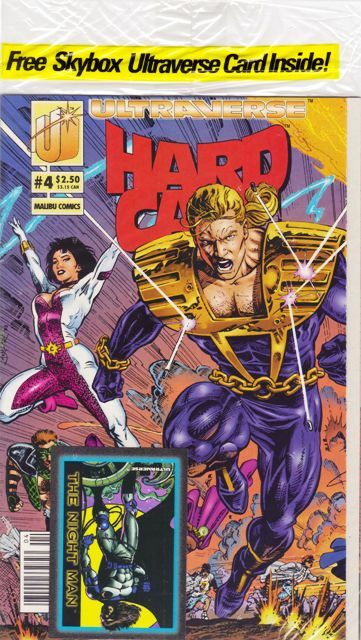 The card is always a Prime promo from the Ultraverse Masterpieces card set but it’s behind the comic. 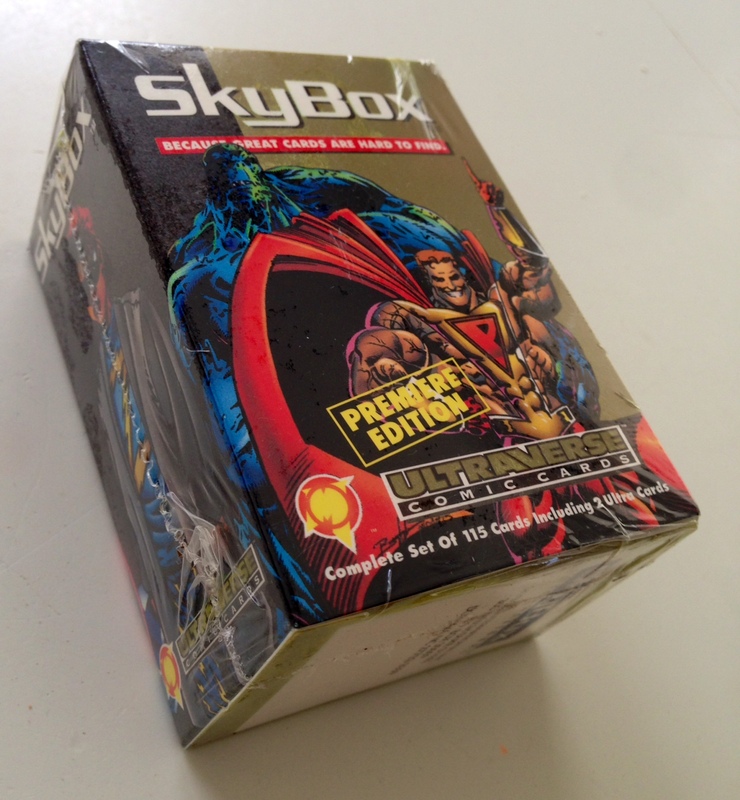 Here is a list of all the Ultraverse books that came polybagged with price variants. I’m pretty sure it’s complete but I’ve been wrong before! I have copies of all of them except for the Mantra 2 and both Prime 4s.